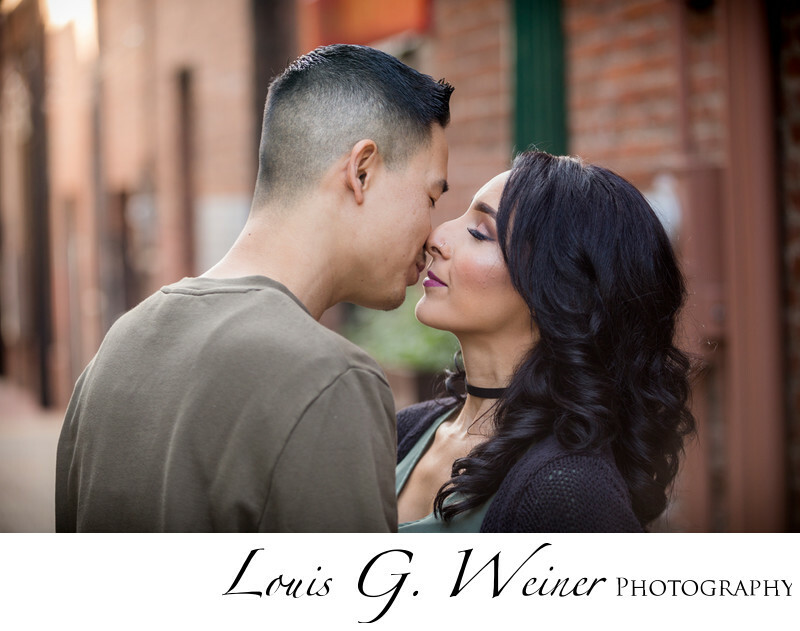 Downtown Redlands engagement session with this sweet young couple. Redlands offers so many wonderful backgrounds and locations. This alley offers wonderful light and great backgrounds, so many options. You can see the love in her posture, almost kissing is anticipating joy.